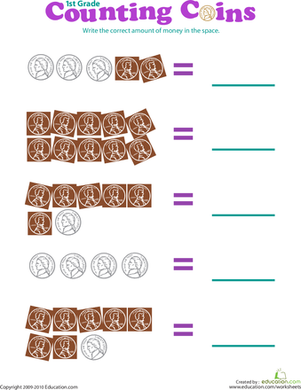 How much money does it take to make these little piggies full? 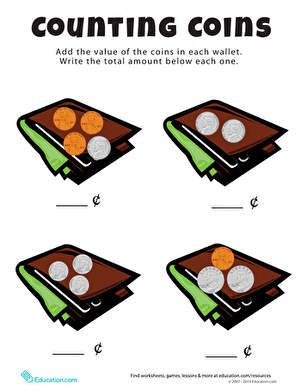 To find out your child will need to count the coins! 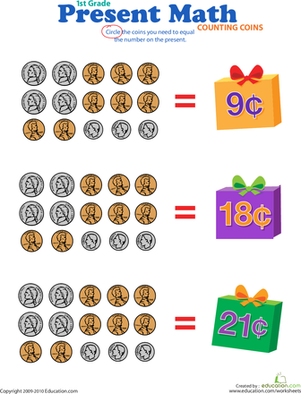 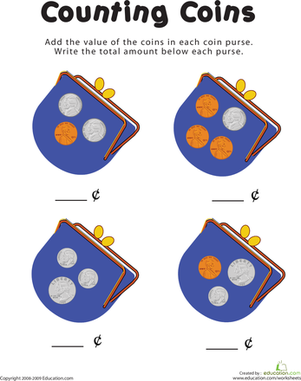 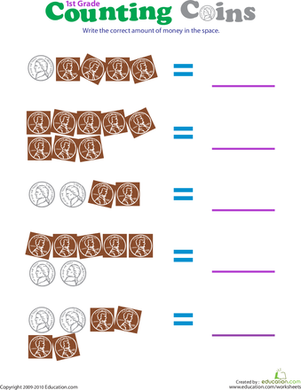 In this worksheet your child will gain practice with his coin counting skills. 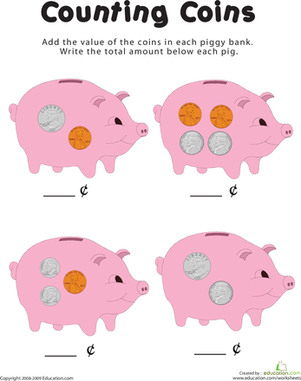 To complete this exercise he will need to count the coins in each piggy bank, then write the total under each piggy bank. 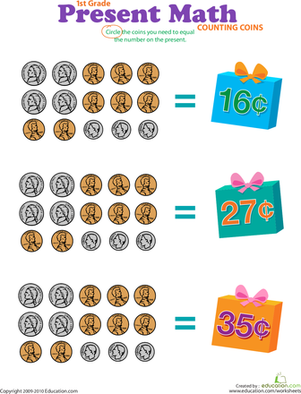 How much is two dimes and a quarter? 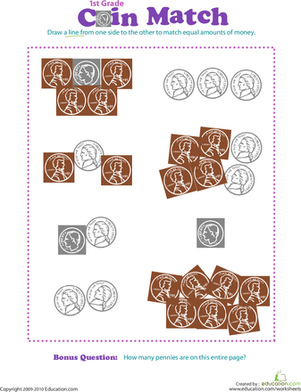 After he completes this worksheet your child will have gained practice with his coin counting skills. 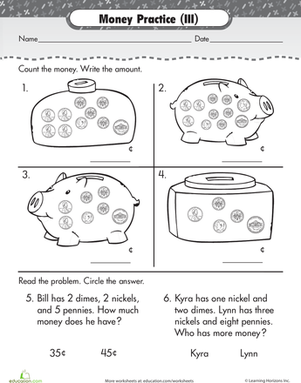 First grade money masters show off their skill by counting up the coins in the jars and piggy banks and writing the total values on the lines. 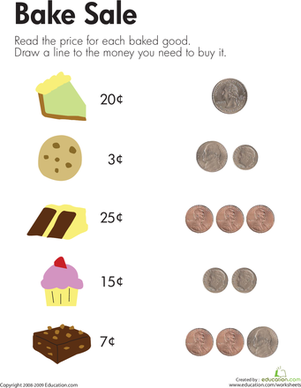 Kids will read the prices of desserts then count coins needed to buy each treat. 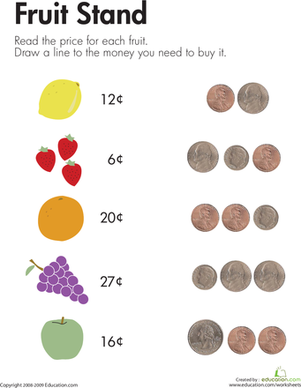 For each exercise in this worksheet, your child will count the coins and write their total value on the line.